A Multitalented actor Vijay Sethupathi's recent blockbuster hit movie Dharmadurai, directed by Seenu Ramasamy. 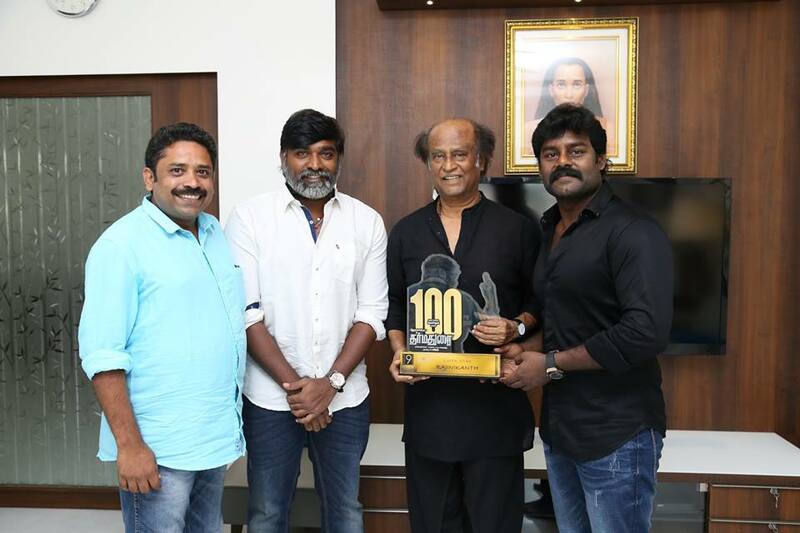 Dharmadurai movie team celebrated 100th day celebrations. The film stars Vijay Sethupathi and Tamannaah in the lead roles, with Aishwarya Rajesh, Srushti Dange, Raadhika Sarathkumar, Ganja Karuppu and Rajesh in supporting roles. Produced by R. K. Suresh and featuring music by Yuvan Shankar Raja, the film was released on 2016. Write & Share about "VijaySethupathi's Dharmadurai 100th Day celebrations | Dharma Durai (2016) Tamil Movie News | Cinema Profile" !